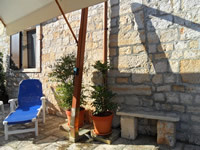 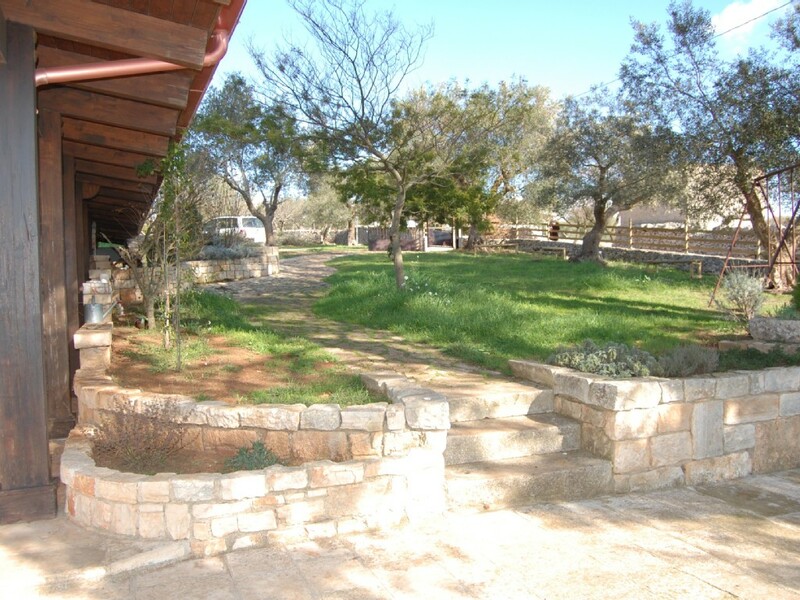 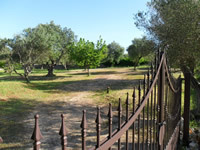 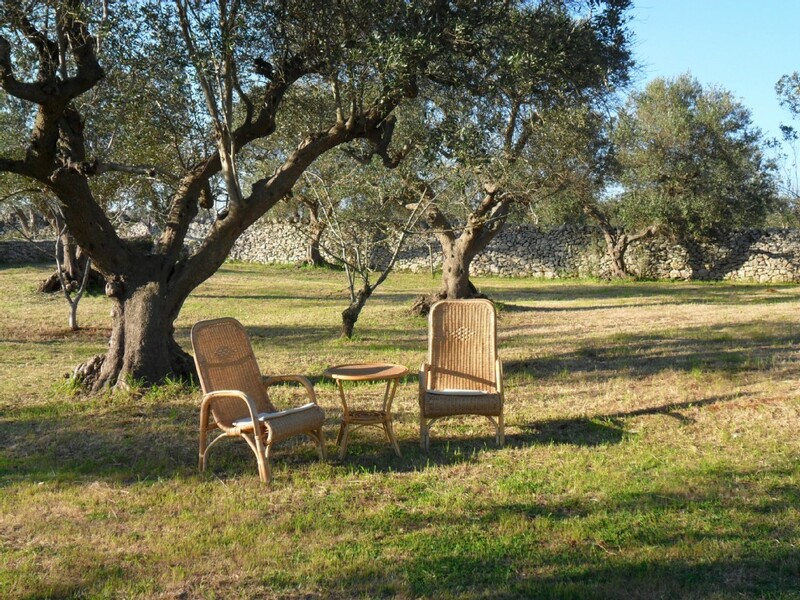 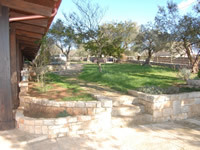 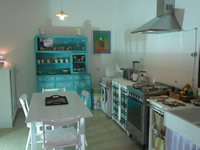 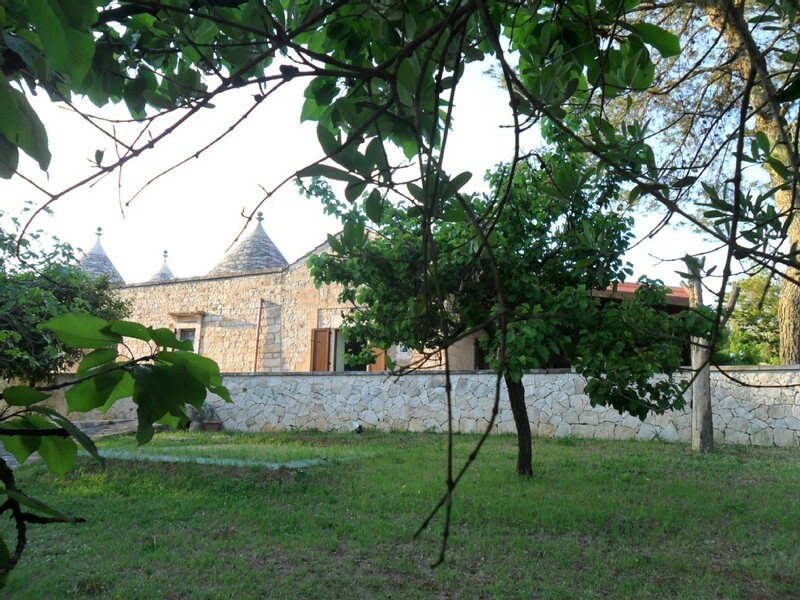 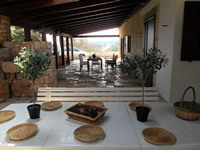 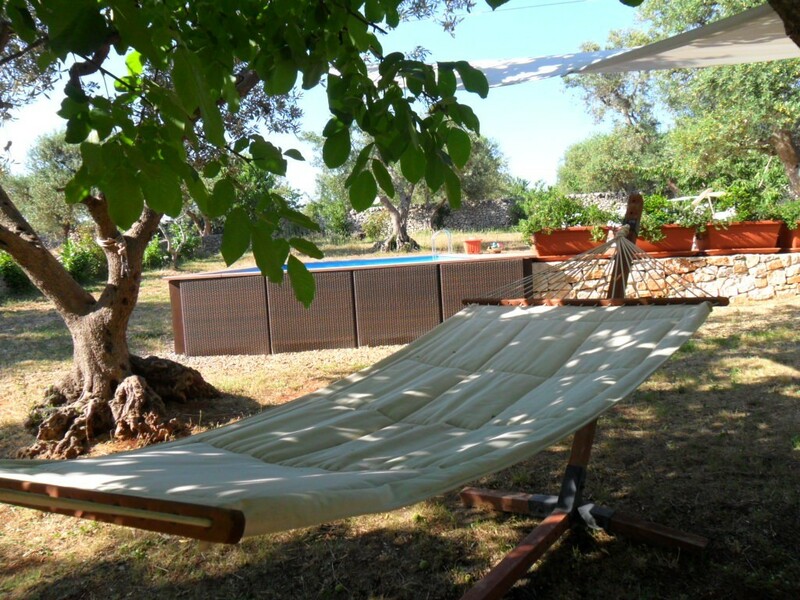 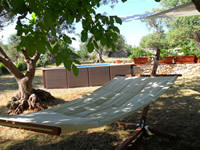 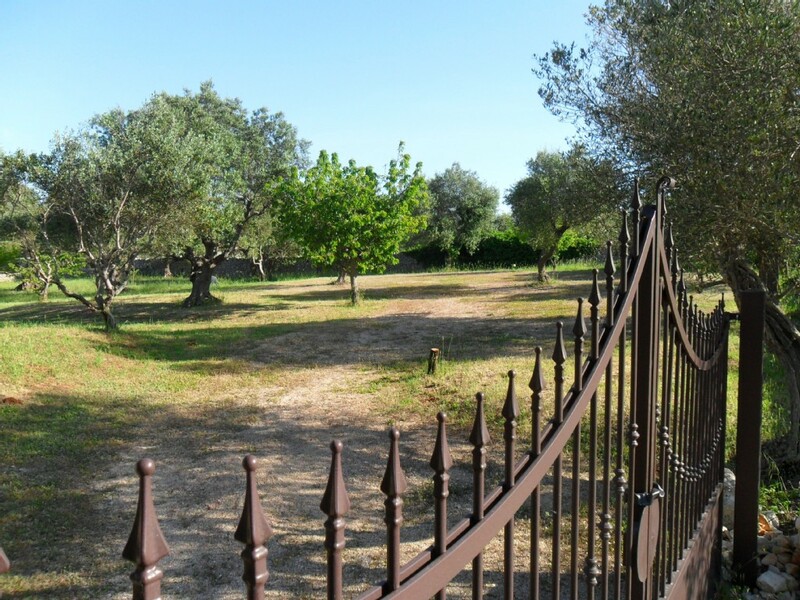 La Casa dei Due Pini is a holiday villa that was once a church and a school, built around a trullo. 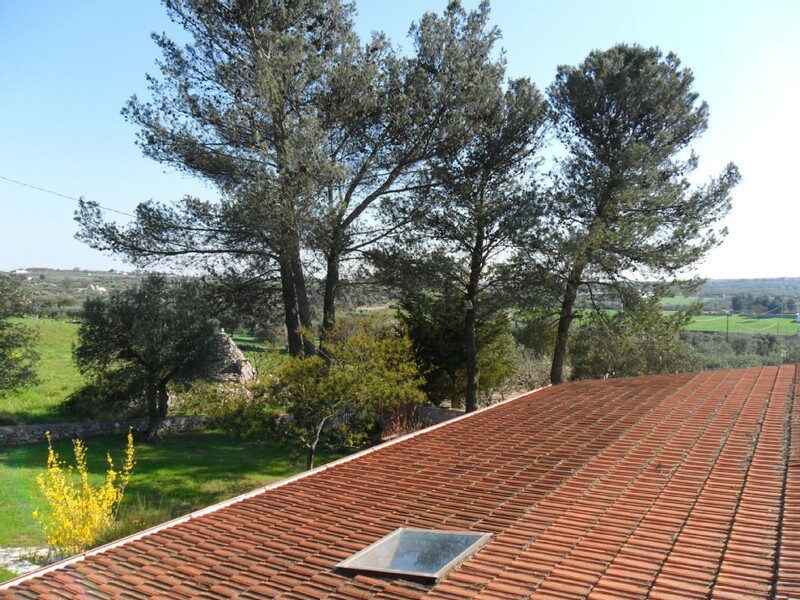 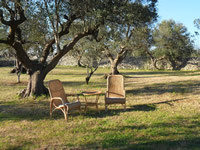 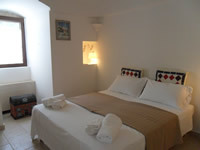 It is 1.8 km far from Alberobello, the capital of Trulli and Unesco site. 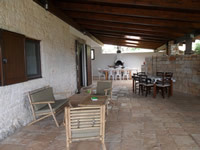 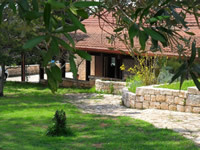 The villa has a large porch of approximately 100 msq, two entrances, a kitchen, a living room, a TV room and a dining room. 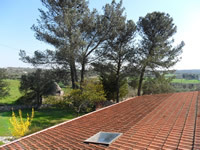 Water is heated by solar panels. One of the entrance is in the kitchen while the other opens up into the large living room with panoramic windows on the opposite hill. 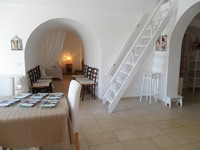 A 2 metres deep arch leads to a comfortable alcove created inside the trulli. A pleasant place for watching TV, listening to music or reading a book. 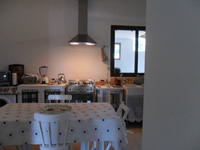 The dining room is intimate and welcoming, as well as the spacious kitchen. 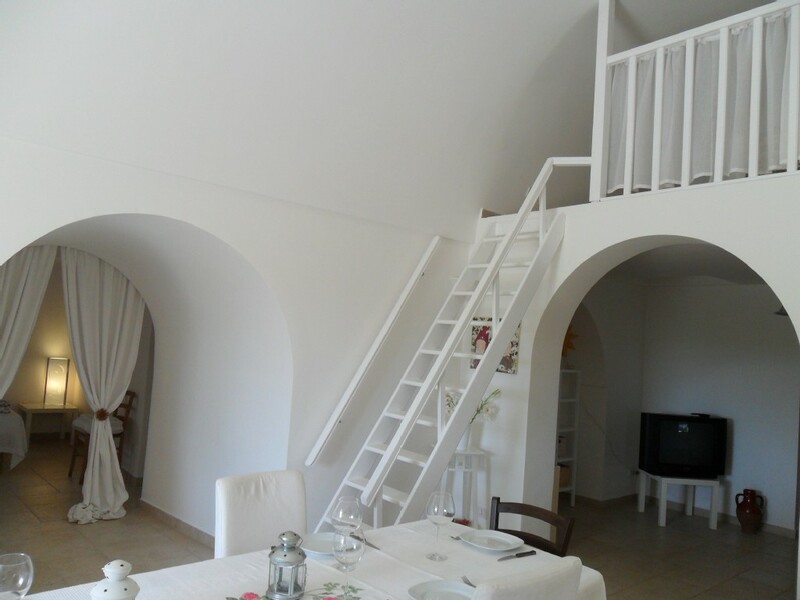 A second small arch leads to a bright hall with a large bathroom and the bedrooms. 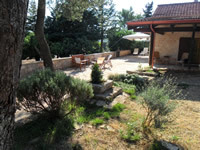 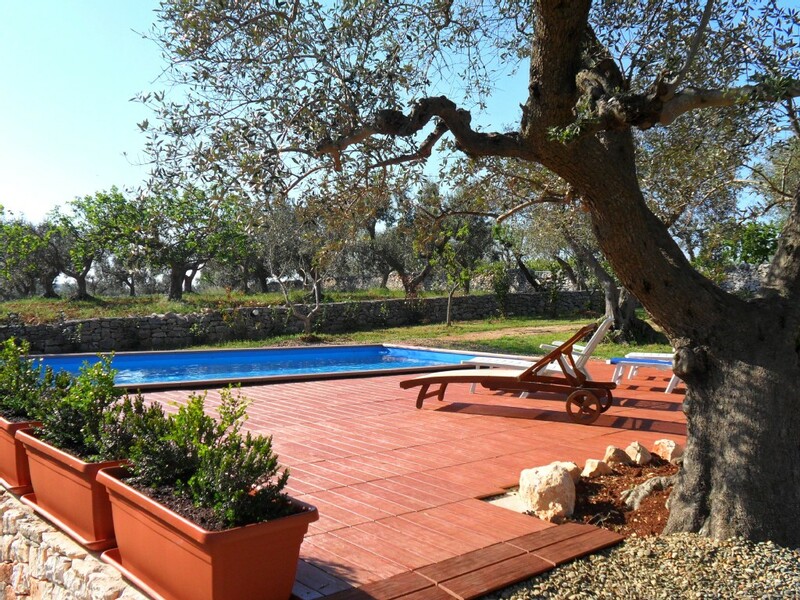 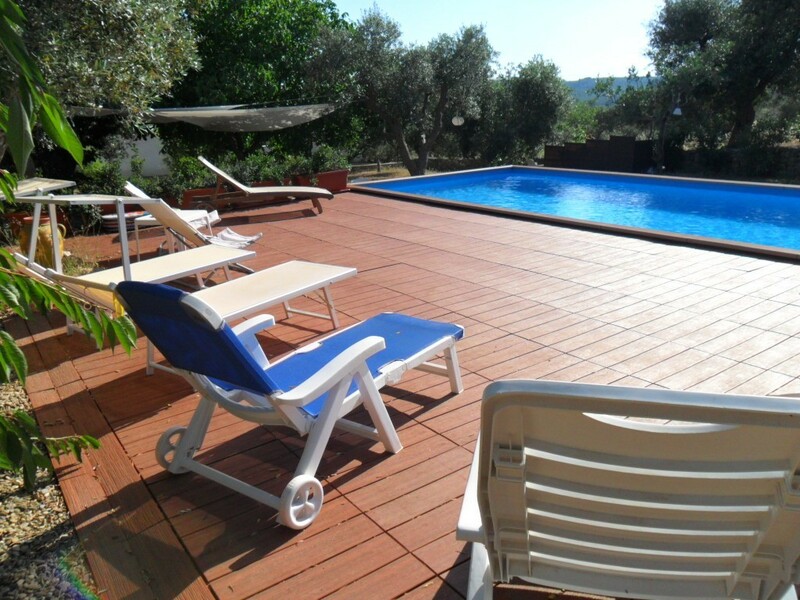 You will enjoy the peace of the garden and a refreshing dip in the 4x9 m swimmng pool. 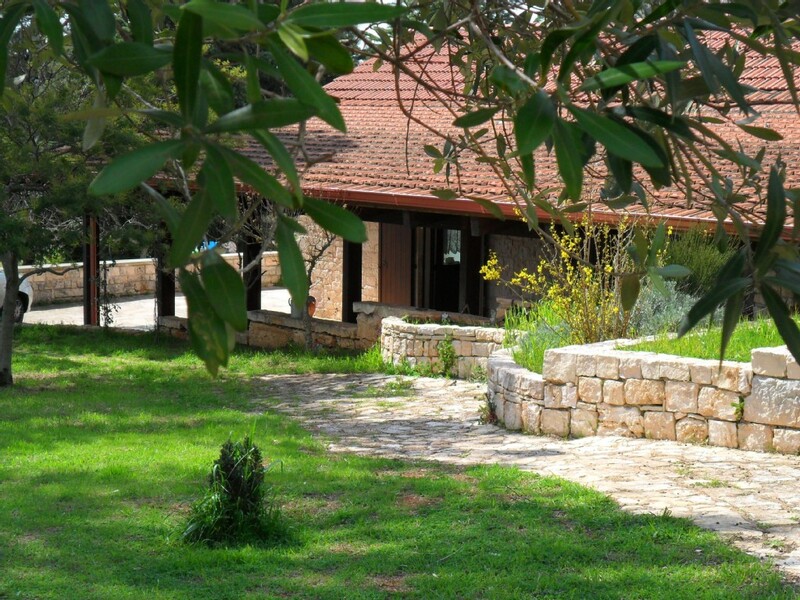 For those who enjoy walking or cycling around, the area looks perfect for hiking, jogging or cycling through country roads to discover different districts, each beautiful in its own way. 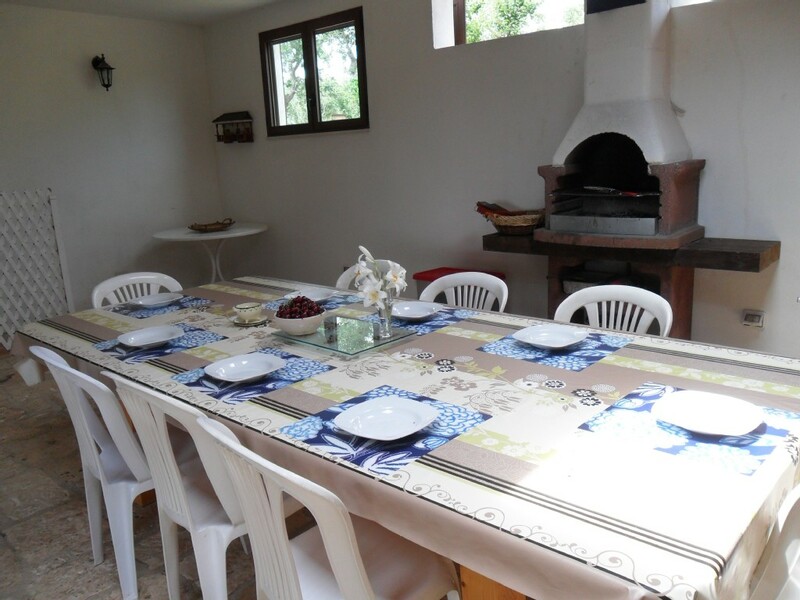 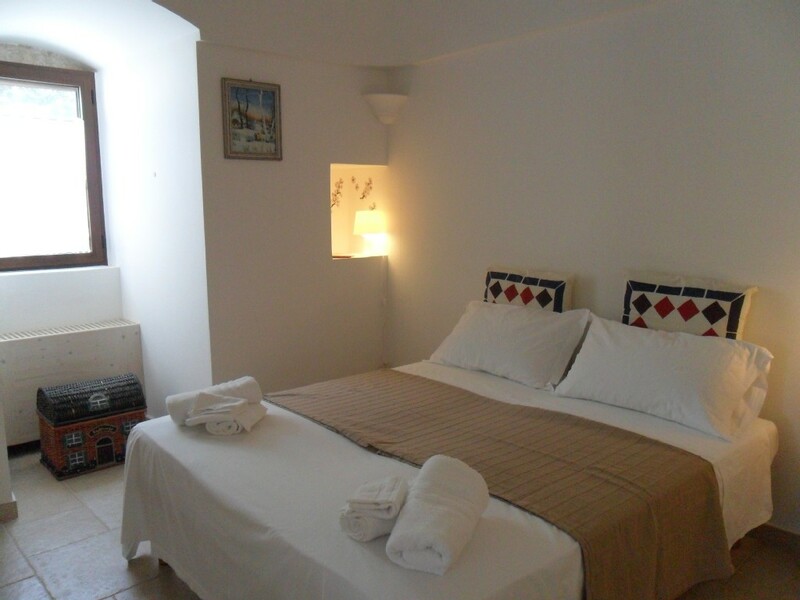 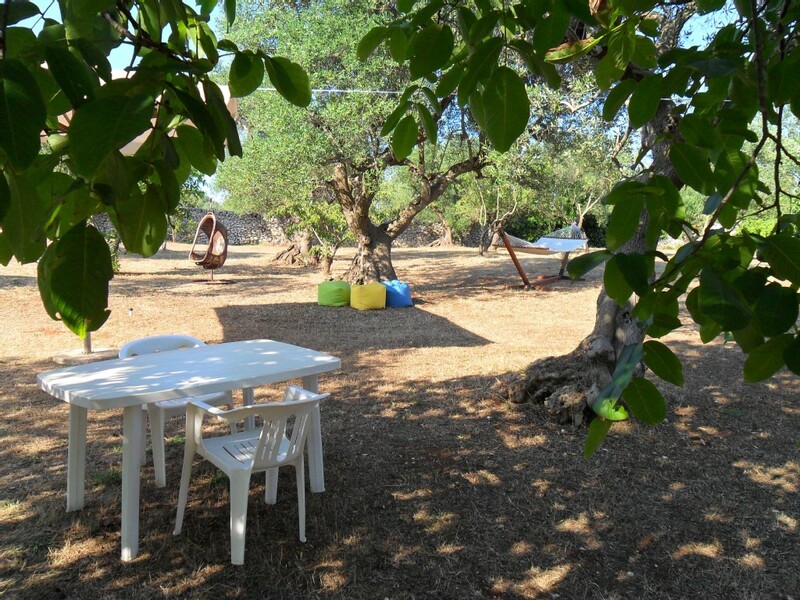 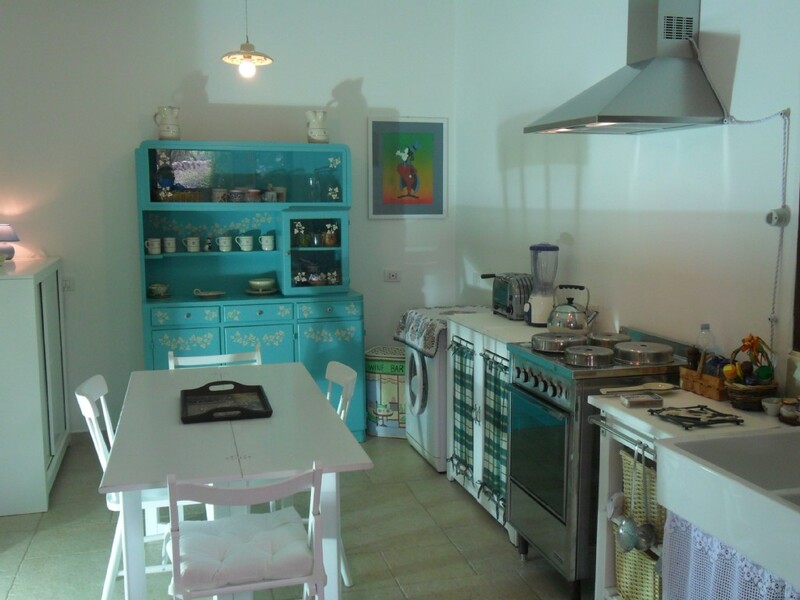 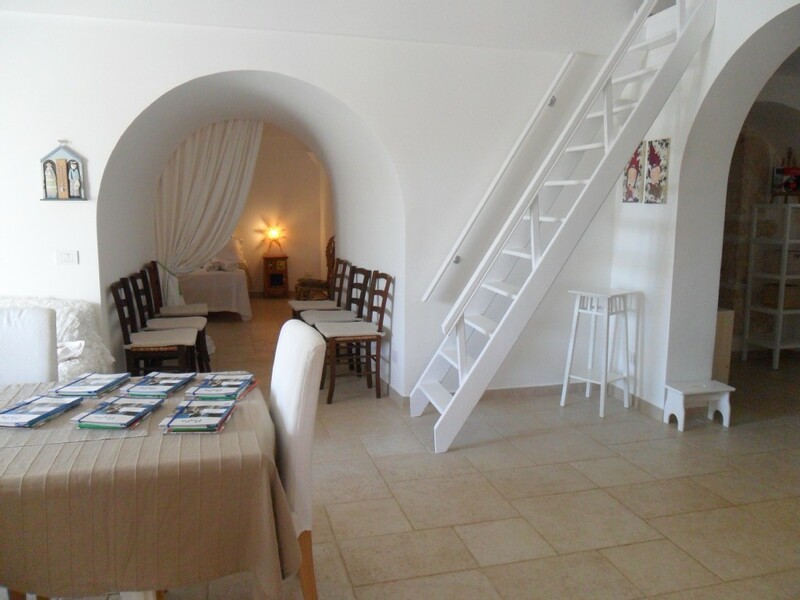 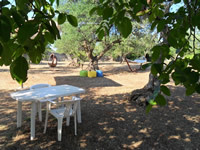 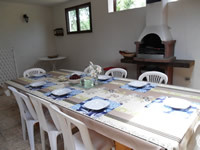 La Casa dei Due Pini offers 5 comfortable double rooms with windows and 3 bathrooms. 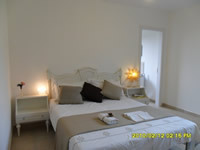 Two rooms are ensuite while the others share a large bathroom. 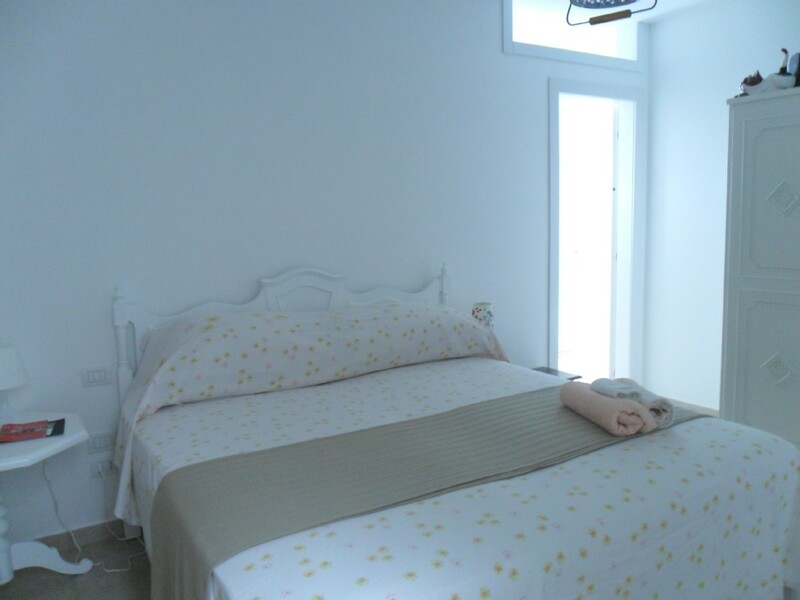 One double bed is on the loft above the living room and one double (or two singles) are in the room attached to it behind a curtain. 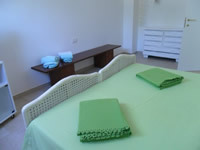 There is also a sofa bed, so that the house can accommodate up to 12 people and 2 children.